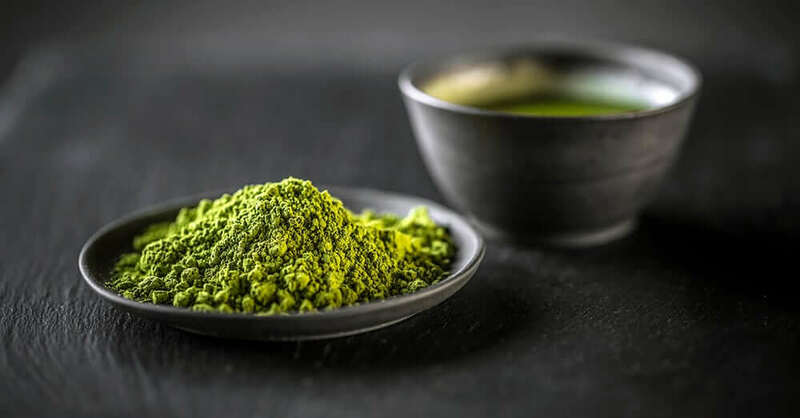 Matcha is a super fine powder made from pulverising green tea leaves. Due to it being concentrated, it’s significantly more potent than brewed green tea, packing higher levels of antioxidants per serving. This makes it a super healthy additive which can be used to create fresh new recipes and enhance existing ones. 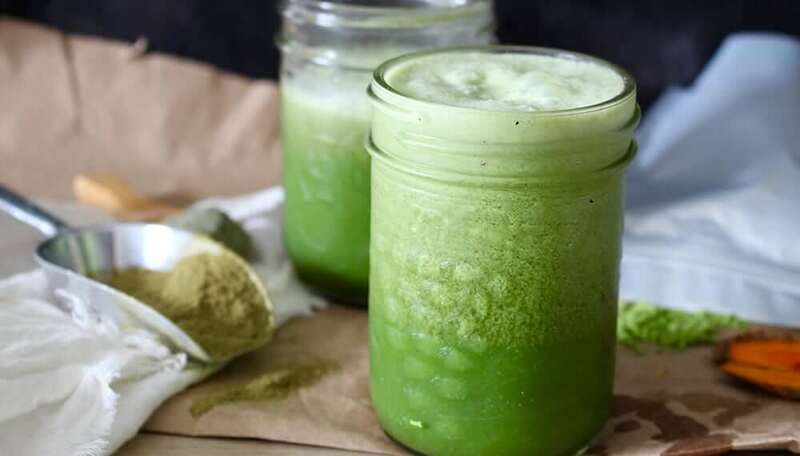 Being that the powder is made purely from green tea leaves, it naturally has the same benefits brewed green tea would have. 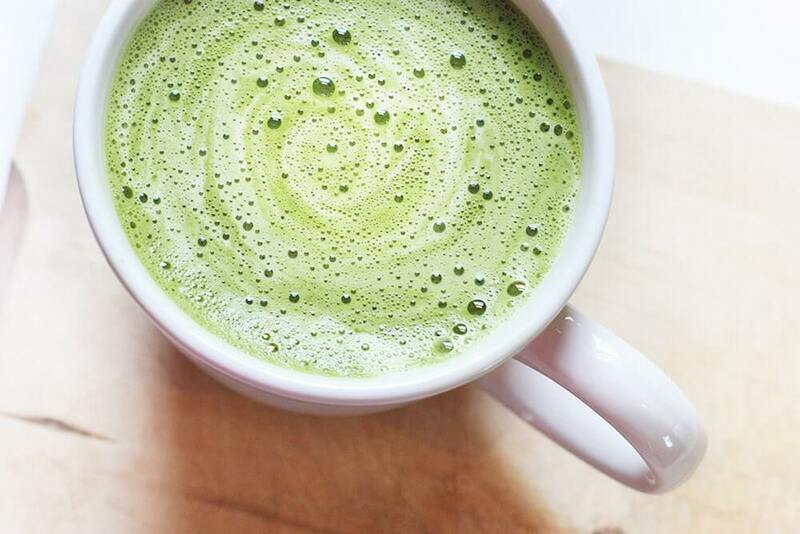 Matcha also packs a bigger caffeine boost than your average tea, making it one of the healthiest wake-me-up drinks available. Drinking the stuff is great for promoting alertness, aiding digestion, cleansing the pallet and improving the ability to relax. 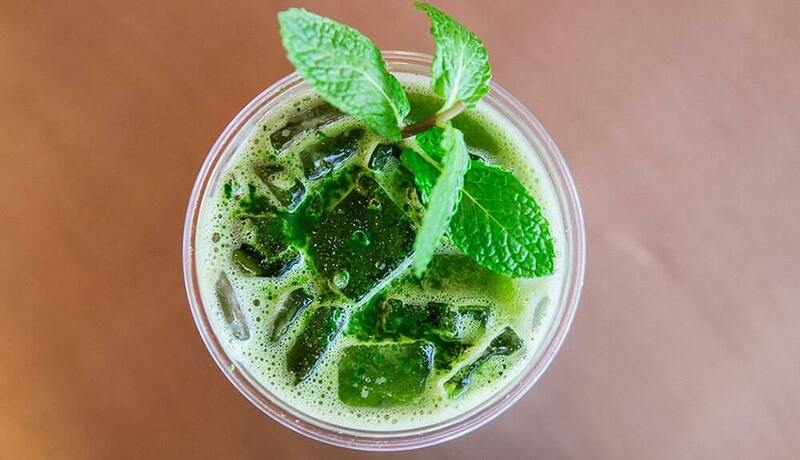 Though we do admit we’re a tad late to join the matcha train, we’re glad we finally got onboard! For months now we’ve been deciding which fresh creations are ahead of the rest, taking into account the taste, texture, health level and prep experience of each recipe. We’ve conveniently whittled the once pages-long cook book to just a carefully selected few. We’re leading with our top 5 finalists which includes a mixture of solid food and drink, and have tried our best to keep things simple and sweet. Spoon the matcha into a large mug. Add the hot water and coconut milk and whisk briskly until frothy – about 30 seconds or so. (You can also use a small kitchen whisk if you don’t have a matcha whisk). Taste and add additional water, coconut milk, and/or sweetener to your liking. (Honey goes well for a smoother flavour). Line an 8 inch brownie pan with parchment paper both ways. 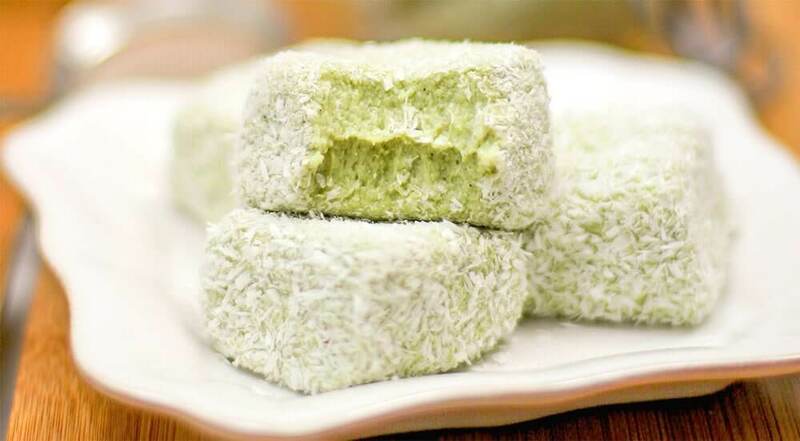 In a high-speed blender or food processor, add the cottage cheese, vanilla paste, stevia and matcha powder. Puree until completely smooth. Whilst blending, pour in the melted coconut butter. Continue blending and gradually sprinkle in the metamucil. Once thoroughly combined, scoop the mixture into the prepared brownie pan and spread out the surface to flatten. Place the pan in the freezer for 2 hours. Place the shredded coconut in a large bowl. Slice the fudge into 36 pieces (it will be a tad sticky, but that’s normal… once it’s coated in the coconut it won’t be!). Coat the fudge squares with the shredded coconut, then place on a large serving plate. Once all the fudge is coated with the coconut, refrigerate uncovered overnight and serve the next day (You can serve them immediately if you want to, but they’ll be really soft at this point… everyone liked these best the next day). I used Stevia in the Raw in the Bakers Bag. Alternatively, you can try using a combo of Stevia Extract (1½ tsp) and Powdered Erythritol (¾ cup). If you REALLY like coconut flavour, feel free to add some coconut extract too. Simply combine all ingredients in a blender, and blend until smooth.